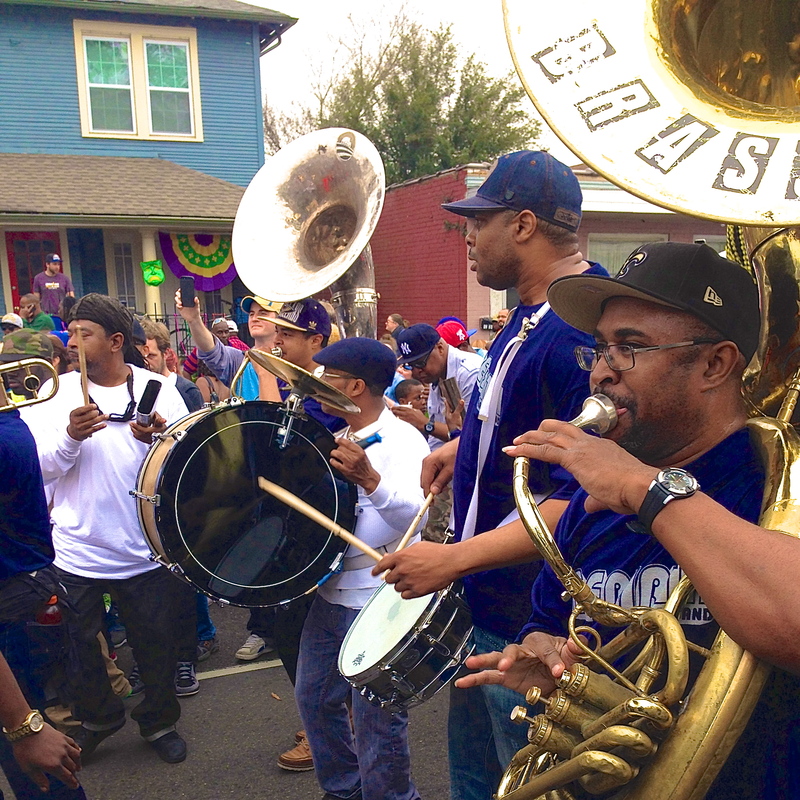 Keith Frazier at the Sidewalk Steppers second line parade, 2011. 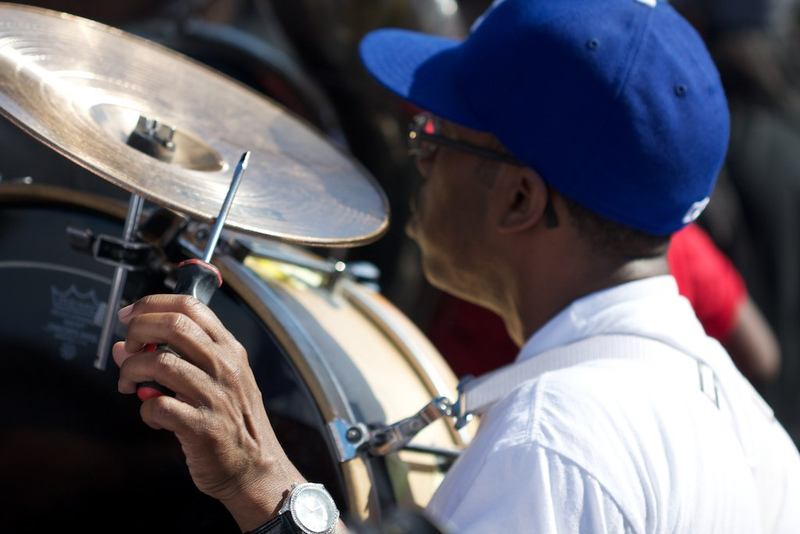 Bass drummer Keith Frazier plays with the Rebirth Brass Band. He joined shortly after his brother Philip formed the band in 1983, with Kermit Ruffins, while they were still students at Joseph S. Clark High School in the Treme neighborhood. Keith and Philip, the “bass brothers,” have been the backbone of Rebirth’s rhythm section, and are the only original members active in the band. In addition to bringing funk and R&B songs into brass band repertoire, Keith has popularized one- and two-measure drumbeats, including the Latin tresillo beat. These cyclical beats give momentum and drive to Rebirth’s songs, and the patterns have been emulated by a number of young brass bands in the city. Watch Keith play a tresillo rhythm in Rebirth’s performance of “Caribbean Second Line,” from a drum workshop I organized at Tulane. When Hurricane Katrina hit New Orleans, Keith evacuated to Dallas. After the storm, he took up residence there, and now travels to to Rebirth’s gigs, including most of the band’s performances in New Orleans. 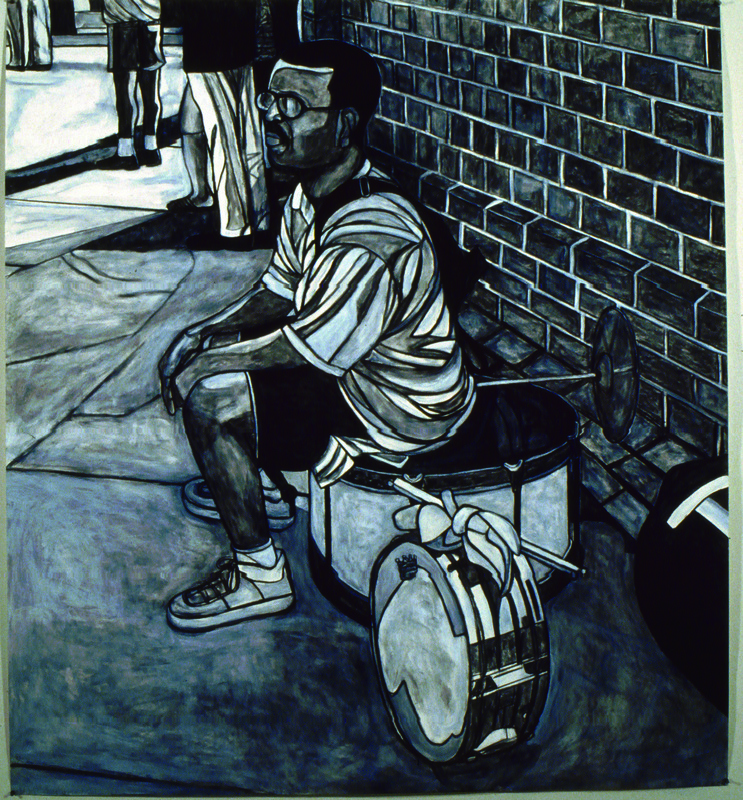 Artist Willie Birch, who created the artwork in the book Roll With It, made this portrait of Keith Frazier, called “Musician Sitting on Drum” in 2001.